A young US woman visits her boyfriend’s family in Singapore for a wedding, only to discover he is actually one of the most eligible and wealthy batchelors in the country. Much has been made of Crazy Rich Asians, and its all Asian cast – and rightly so. After all it has been 25 years since Hollywood last had a film dominated by Asian talent (1993’s The Joy Luck Club), but that is almost certain to change following the remarkable success of this film in the United States. However, if you ignore the hugely important message this sends and the fact that hopefully it will herald much more diversity in Hollywood filmmaking and indeed Hollywood stories, the truth of the matter is that Crazy Rich Asians is simply a first class rom-com. In fact one of the best in years. People have been watching and rewatching the film in US theaters, much as happened following the release of classic Four Wedding And A Funeral. The story is a well-worn one: a young economic professor in the US is in love with her boyfriend and things are looking pretty serious. A wedding crops up back in his homeland, Singapore, so he invites her to join him and whilst they are there, he asks her to meet his family for the first time. What he hasn’t briefed her on, however, is the fact that his family are absolutely minted, and own most of the real estate in Singapore, thereby making him one of, if not the, most eligible batchelors in the country. And as a result, his family, in particular his mother, and the socialites around them do no take kindly to a US Asian, working girl from a single parent family threatening to muscle in on their family line. With plenty of highs and lows along the way, the question is whether true love will find a way, or whether external circumstances (and scheming mothers) will force the young lovers apart. So yes, not the most original of films, but it must be said that the script and in particular the performances are outstanding and heartfelt. 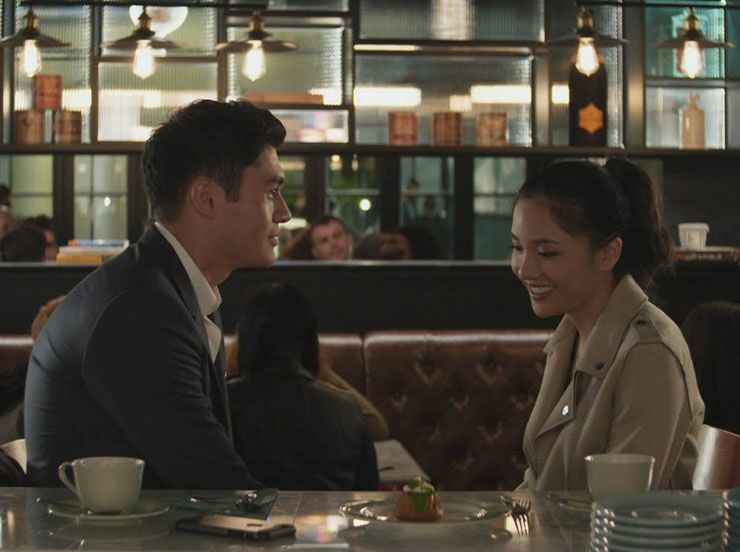 Despite having the not-so-enviable task of dating a good-looking billionaire, Constance Wu brilliantly demonstrates the anguish that her character suffers, while her chemistry with newcomer Henry Golding is second to none. Golding is charming and charismatic without ever being irritating, while his mother, played by the legendary Michelle Yeoh, is sensational, with wonderful powerplays with Wu. Support characters including Awkwafina, Ken Jeong, Gemma Chan and Nico Santos really bolster the film, and credit must go to director Jon M Chu, who hasn’t shone particularly in previous outings (Now You See Me 2, Step Up 2, G.I. Joe: Retaliation) and writer Kevin Kwan, for making the secondary characters fully explored, relevant and interesting. The film itself is utterly sumptuous with remarkable locations for the Singapore scenes, so it will come as no surprise that a sequel, and no doubt in time a trilogy, has been greenlit already – adapted from Kwan’s three novels. Sumptuous looking, with outstanding performances and a story with real heart, Crazy Rich Asians is one of the best rom-coms in decades.